SMEs have always faced challenges in attracting and retaining talents from the labor market. Unable to compete with larger companies with more resources whom can offer higher remuneration prestigious brand name, SME often lament about manpower challenges. This situation might change however with the unabated rise of the gig economy both locally and overseas. Millennials today have very different mindset and preferences when it comes to their career choices, compared to the generations before. The labor force for SMEs may have reduced or increased, depending on how you decide to handle this phenomenon of freelancing and the gig economy. The majority of people in the labour market are of two different generations: the Generation X, and the Millennials. The two generations are very different in their work ethic, work life, how they perceive authority. Most millennials have turned to freelancing as a way to get jobs and still maintain their independence, and they are the largest labor source available now for SMEs. Gigs opportunities (one-time, non-permanent jobs) are plenty in supply such that some millennials won’t consider going to work full-time in an organisation. How should you, as an SME owner, manage millennials and the gig economy in a way that will profit your business? First, you have to realise that how millennials approach their work life is different from how Gen X approaches theirs. Gen X and Millennials both take their work-life balance seriously, but they differ in how they want it. Gen X workers may insist on strict working hours and reject overtime; millennials will insist on flexible hours and recreational activities at work while Gen X employees have different job aspirations from millennials as well. They believe that any promotion you get is through hard work and years of experience, and when the finally get into a managerial position, they would want to be highly respected and insist on their time being very precious. Millennials, on the other hand, do not agree with this ideology. They feel that you should get promoted based purely on performance, not because you have years of experience or by seniority. They also can’t stand the kind of authority Gen X managers want to have, and are likely to question everything they are told and demand that their opinion be heard. 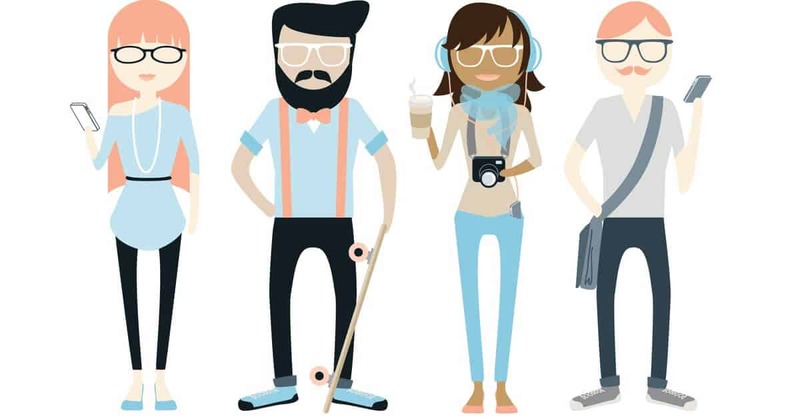 Managing millennials in the workplace is not a difficult thing to do, as long as you understand them and where they are coming from, and try to strike a balance between what you need them to do and what they want to do. Millennials like to work in groups, coming to decisions through group work. They acknowledge that your word as a manager is law, but they would also like to have their say. Give them room to work together, and allow them to voice their opinions. Millennials are also highly technological, but they are pushing for more personal communication than using computers. Mix them up with Gen X workers, where, through compromise, they can use technology and still have interpersonal relationships. Give them regular feedback and constructive criticism, and praise them when praise is due. With the emergence of freelancing and the gig economy, SMEs can stand to benefit from these. Using freelancers and giving them jobs as gigs will prevent overstaffing, while still maintaining a pool of resources for you to hire from when you need it. There is also a decreased salary cost for you as an SME owner because you only have to hire freelancers when you have specific ad-hoc jobs for them or to meet seasonal demand peaks. When business is slow, you can decide not to hire, and this will reduce the cost of salaries on your part. Instead of having to source for short term SME loan in Singapore to sustain your payroll overheads during slow periods of growth, you can keep your manpower lean and dip into the freelance market when you require additional manpower. However, one of the biggest disadvantages of freelancers for SMEs is the lack of loyalty. Without loyalty to you, there is really no need to cultivate team spirit, to grow a work culture, or even to keep information classified (unless put in a contract). Another disadvantage of freelancing is the distance. Since they can work from anywhere, they may not be in the vicinity if your business, and going over plans and strategies may take longer because you may need to schedule and set for all stakeholders in the project to come together. To truly benefit from freelancing and the gig economy, SMEs need to change their approach to doing business. You need to accept the changes in the labor supply and change your work culture to suit that of freelancers and millennials. Make working hours more flexible, prioritize work-life balance, provide recreational facilities in the workplace. As an SME owner, you also need to restructure your salaries to suit the changes in the business world. Gigs pay per performance and work produced, not caring about experience or seniority, and talented freelancers also expect to be paid in that manner. As the drastic shift of workforce in so many points listed, your business and HR must keep on with the change or risk not able to hire or retain the best talents in the market, thus losing out to your competitors. Pingback: How Can SMEs Attract And Retain Talent?